Print Jobs Clogging Up Your Queue? It’s easy enough to cancel a print job in the queue – you simply right-click it and select “cancel,” after which the print job status commences to display “deleting…” After which you normally expect the print job to cancel and disappear so you can resume printing, correct? Unfortunately, often the print job will hang and prevent you from continuing to print a new from that same printer. 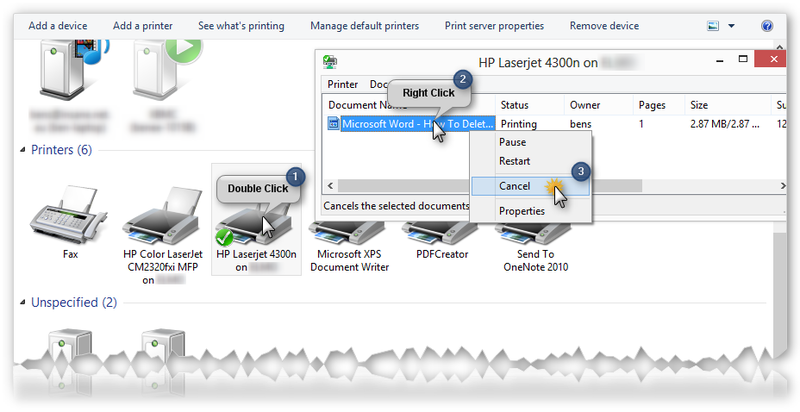 We’re going to show you how to forcefully delete these pesky print jobs. 1. Open up the Control Panel and select Devices and Printers. Or select devices and printers from the start menu. 3. This should remove most jobs from the print queue. If not you will need to force delete the jobs. 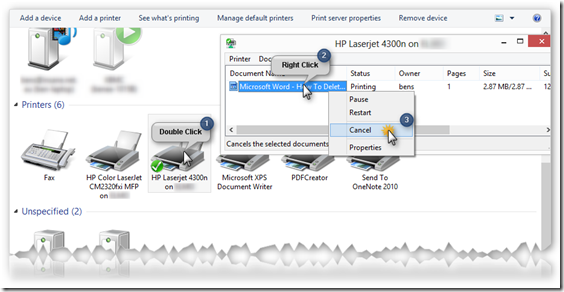 Fortunately, there is a way to delete the hung print job without having to save all your work, close all your applications, and restart your computer. 3. You should see files there ending in .SPL and .SHD created around the time you tried to print – delete these files. 5. Follow the above steps to your print job queue and browse to View -> Refresh. You should see that annoying hung print job finally disappear completely and you should now be able to resume printing without having to restart your computer.